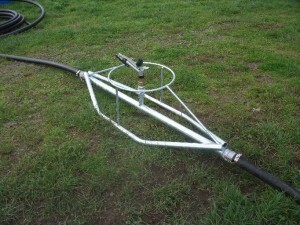 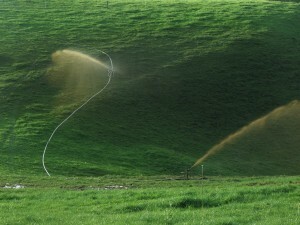 A unique low application skid, enables operator to shift sprinklers from paddock to paddock without having to disassemble each individual sprinkler. 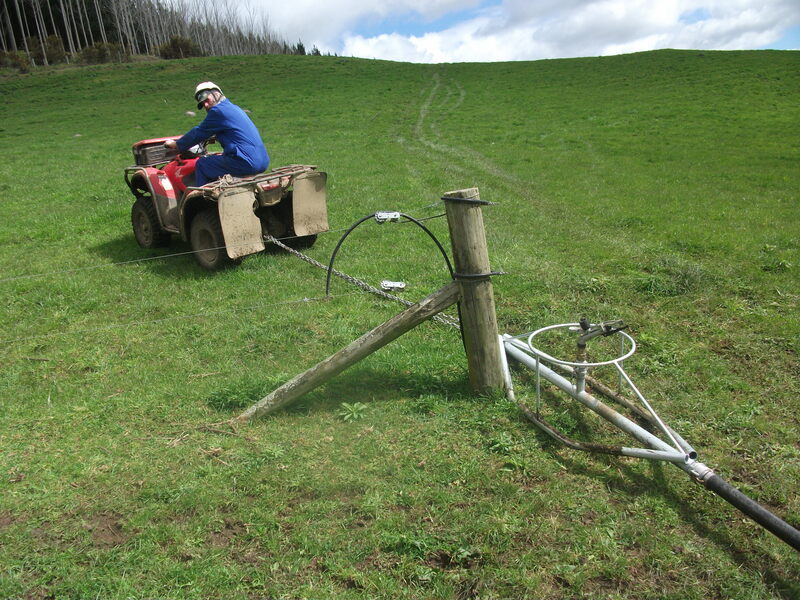 The Easyskid has become a hugely popular device on many farms for ease of use and efficiency. 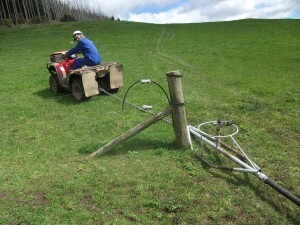 Galv dipped canoe like frame allows skids to deflect from fence posts and troughs.